Starting at the Christian Moerlein Brewing Company's Malt House Tap Room, this tour shares the stories of several historic Cincinnati breweries as well as the past and present brewing traditions in Cincinnati. Learn about the men who built and worked in nineteenth century breweries and explore the dangerous working conditions, grueling hours, and the growing divide between the workers who made the beer and the "Beer Barons" who built their fortunes by producing America's best brews. You'll emerge from a trip into the lagering cellars and tunnels of the Schmidt Brothers/Crown Brewery with knowledge about how technology and bottled beer changed the way people drank in the 1900s. Enjoy a complimentary beer in the Christian Moerlein Malthouse at the conclusion of the tour! 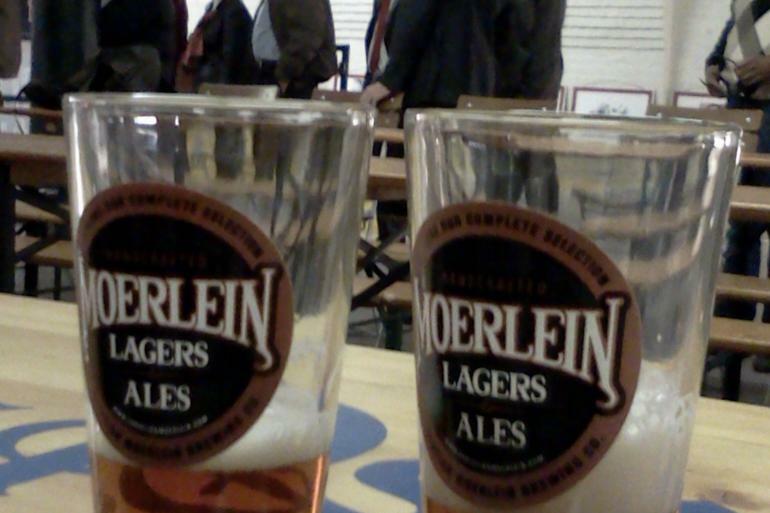 Enjoy fresh pints of Moerlein beer and free tours of this authentic 19th century Tap Room and brewery.